Sony has just taken the wraps off the Xperia XZ3, its latest flagship smartphone at IFA 2018. 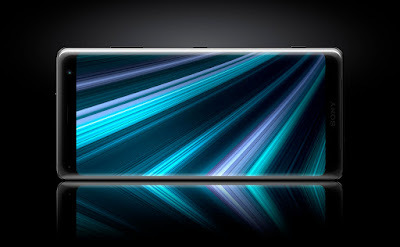 The new Xperia XZ3 is the Japanese company's first smartphone to features an OLED display. It has a large 6-inch 18:9 QHD+ (2880 x 1440) HDR OLED display with curved 3D glass design. 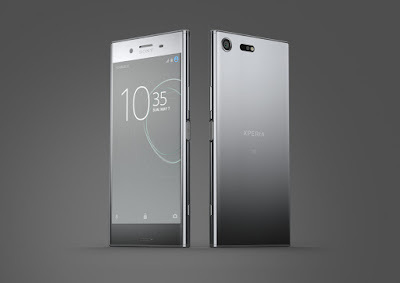 At first glance, the phone design is similar to its predecessor - the Xperia XZ2, sporting a familiar 2:1 ratio tall display, but with a near bezel-less body. 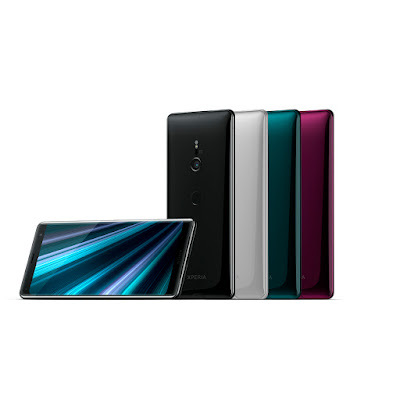 The Xperia XZ3 has an aluminium metal frame and together with front and back Gorilla Glass 5 as well as IP68 rated dust and water resistance. The Xperia XZ3 also comes with a new feature dubbed the Side Sense, which uses AI to predict and bring up shortcut menu filled with apps you need the most by just double tapping anywhere on either side of the Xperia XZ3. You can also use it as a 'back' button with a gesture of swiping along the screen edge. For the camera department, the rear camera is the same 19MP Motion Eye Sensor found in the Xperia XZ Premium, with 1/2.3-inch Exmor RS memory-stacked sensor and an f/2.0 G lens. It is capable of 960fps super slow motion video at Full HD resolution and 4K HDR video recording. On the flip side, the selfie camera is 13MP sensor with 1/3.06-inch Exmor RS, 23mm wide angle and an f/1.9 lens. The Xperia XZ3 is powered by a Qualcomm Snapdragon 845 processor, paired with 4GB of RAM and 64GB UFS internal storage. Other specs included a 3,330 mAh battery, wireless charging, Bluetooth 5.0, USB 3.1, and a microSD card slot. Unfortunately, the fingerprint sensor is still placed in the same awkward low position at the rear of the handset and there's no 3.5mm headphone jack. 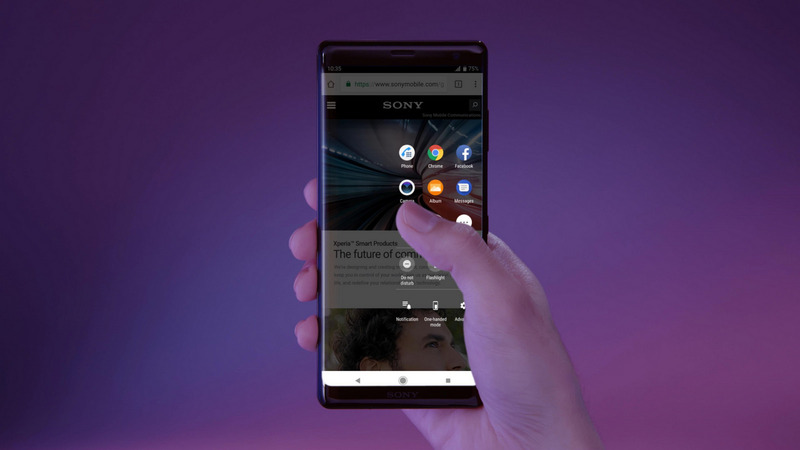 But fortunately, Sony keeps the dual front-facing stereo speakers and the Xperia XZ3 also supports the Dynamic Vibration System first seen on the Xperia XZ2. The Xperia XZ3 has a dimensions of 158 x 73 x 9.9 mm and weighs 193 grams. It will be available in four colours: Black, White Silver, Forest Green and Bordeaux Red. 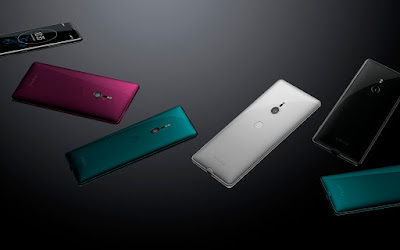 The Xperia XZ3 will runs on Android 9.0 Pie out of the box and will be launch in selected markets globally from end of September 2018.